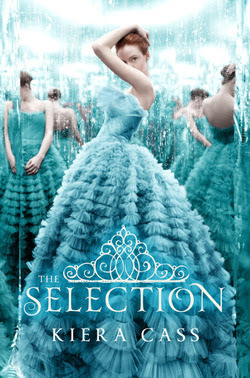 The Selection by Kiera Cass has one of the most gorgeous covers I have ever seen - I couldn't wait to read it just because the photo lured me right in! America Singer is not a typical girl. She is a citizen of Illea, a musician and singer, and a caste Five. In this society, your caste is everything, and dictates what type of life you will lead. When a letter arrives from the palace inviting America to compete for the hand of Prince Maxon as part of the "Select", her mother urges her to turn in an application. America is hesitant, because she has a secret love of her own - Aspen, a childhood friend who is a caste Six. Keeping a promise she makes to Aspen, America applies, and is chosen as one of the 35 Select, and is immediately swept away to live in the palace with the other contestants. America meets Prince Maxon, and is stunned to find out that he is not the superficial, arrogent person that she thought. Will the life she imagined for herself with Aspen be what she choses?